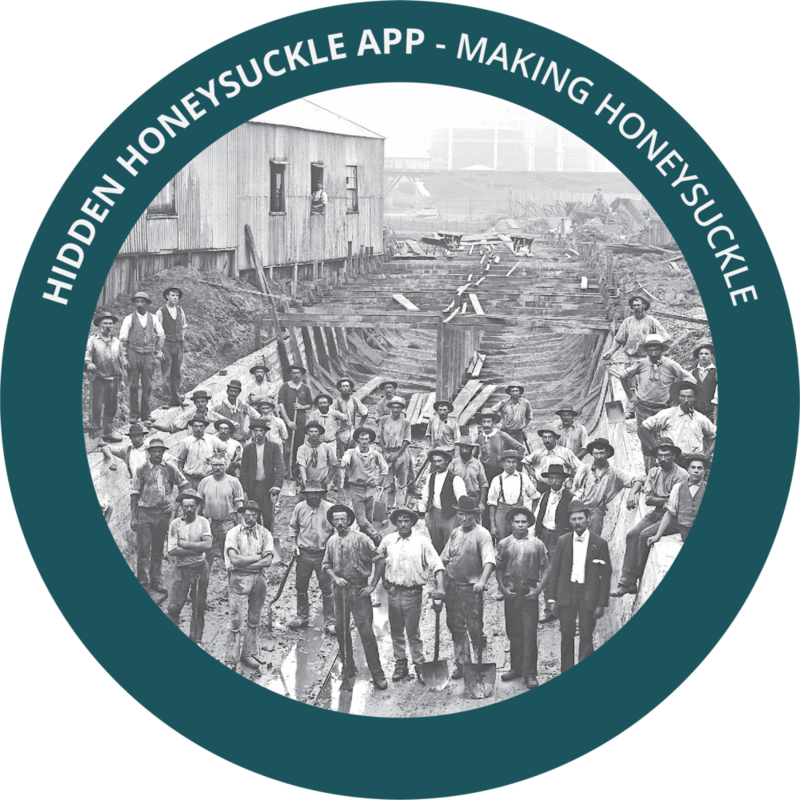 The Hidden Honeysuckle application (app) is a digital and physical placemaking device, designed to encourage users to explore little known stories of the Honeysuckle Precinct’s past. 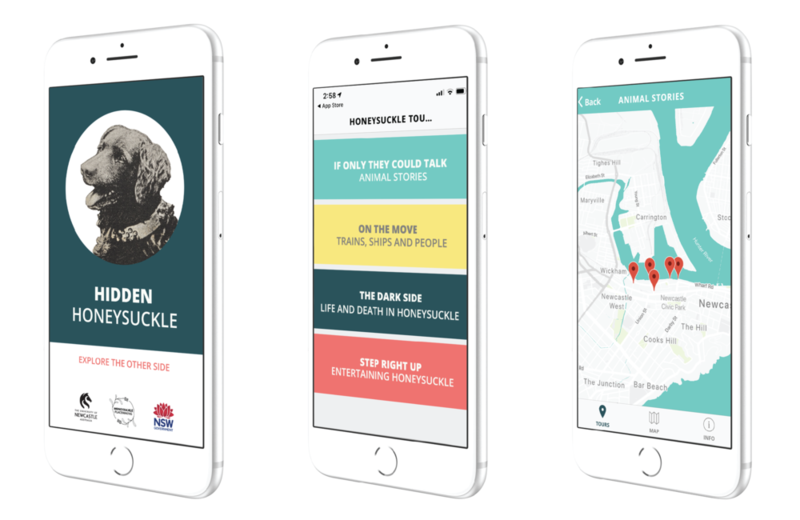 The project is a smartphone application designed to run on Apple and Android phone platforms complemented by stickers placed on the ground as physical markers at story locations within the Honeysuckle precinct. The project was established as a cross disciplinary collaboration between the School of Humanities and Social Science and the School of Architecture and Built Environment at the University of Newcastle. Academic historians (Nancy Cushing and Catharine Coleborne), a PhD candidate/ researcher (Jude Conway), app developer (Jarred Casley), and an architect/research assistant (Emma Guthrey) worked together to create the app. Other contributions were from Andrew Dunne who was recorded reading some of the stories, and Grace Barnes and Jed Cranfield who developed a graphic design template we adapted and used on the app. The physical framework for the app was predominantly based on an existing app ‘NEWY history’ developed by Dr Ann Hardy of UON Cultural Collections. Various other guided tour apps/mobile friendly websites including ‘PastPort’, ‘Melbourne’s Lost 100’ and ‘Our City’ provided inspiration and elements of some were adopted. The app content includes 21 unique story points, grouped into 4 main themes: ‘If only they could talk’: Animal stories, ‘The dark side’: Life and death in Honeysuckle, ‘On the move’: Trains, ships and people and ‘Step right up’: Entertaining Honeysuckle. Users can follow one theme as a guided tour or explore individual stories selected from a map of the precinct. 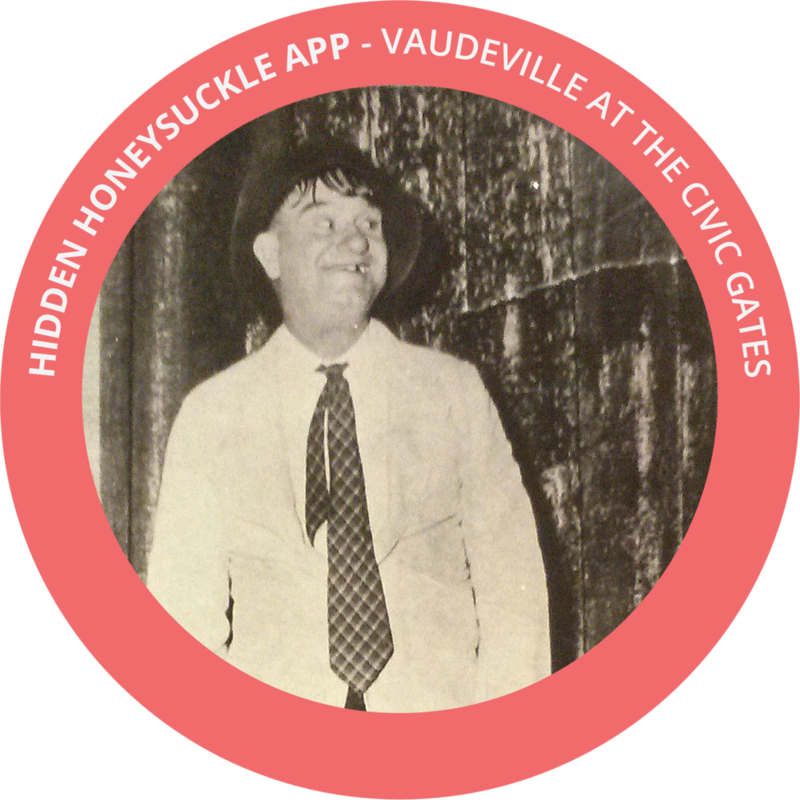 Site locations were identified on a map within the app using longitude and latitude coordinates; and later marked with custom made stickers. Animals, Life and Death and Trains, Ships and People were selected for their appeal to the intended audiences; and Entertainment as a means of establishing Honeysuckle’s long role as a leisure space, a tradition which it was hoped the app could be part of encouraging in the future. The research produced content ranging from accounts of the Indigenous use of the site to accounts of events which occurred within the last 50 years. From the range of possible subjects, the 21 stories within the 4 themes were developed by Cushing and Conway as short and engaging pieces illustrated with maps, artworks, photographs and newspaper articles. Each story is site-specific, linking locations in the Honeysuckle Precinct with past people, events and activity which shaped the area.